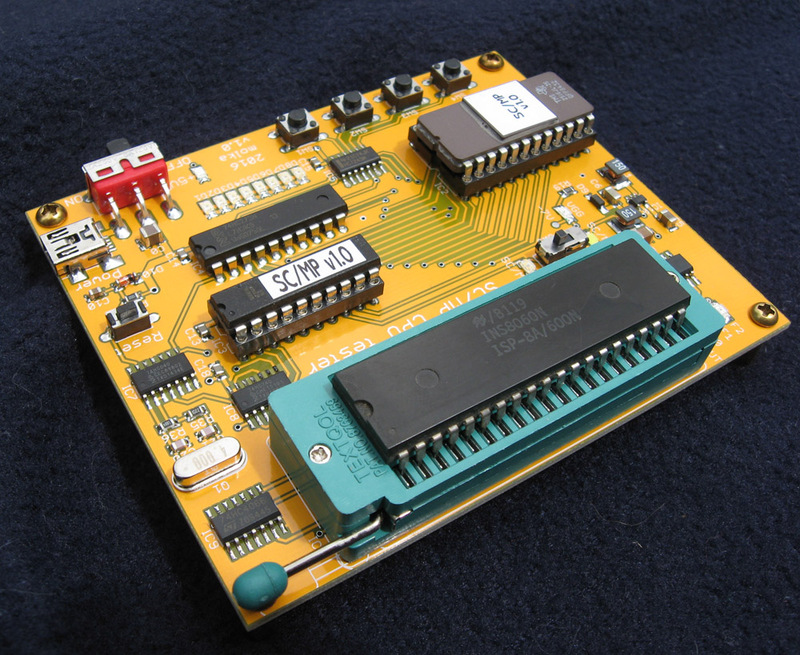 National Semiconductor released the SC/MP (aka the SCAMP or ISP-8A-500) in 1974 as a low cost PMOS 8-bit processor. 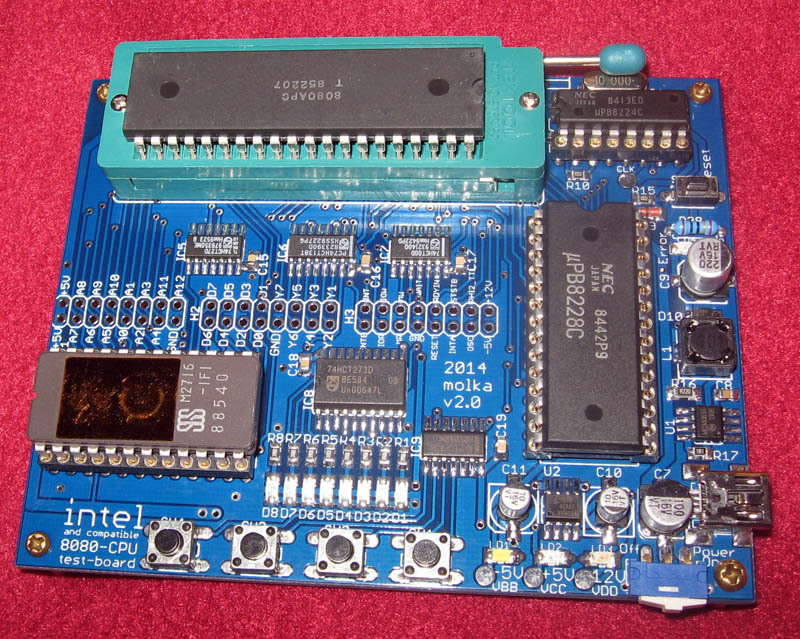 Later the design was moved to an NMOS process resulting in higher clock speeds and simpler power supply requirements. 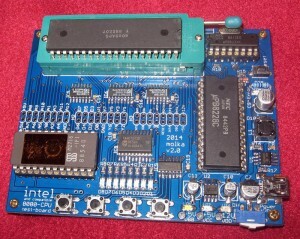 This version was known as the SC/MP II or the ISP-8A-600. It was used well into the 1980’s. This test board is designed to test with the PMOS or the NMOS versions of this chip. It has power supplies and clocking for both the PMOS and NMOS versions and requires only the slide of a switch to change between them. I have a couple in stock, $94.95 with FREE shipping. More info and purchasing info on the SC/MP Test Board page.